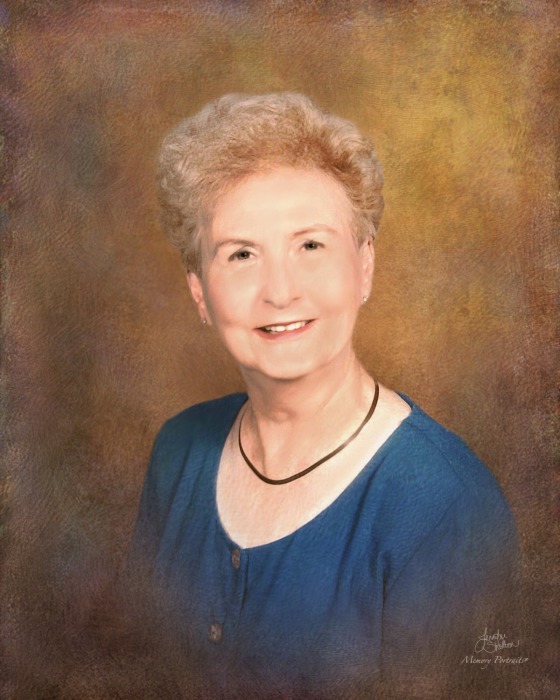 Obituary for Carolyn Hilderbran | Rushing-Estes-Knowles Mortuary, Inc.
Carolyn Cecile Guidry Hilderbran, 90, of Uvalde died on March 26, 2019, in San Antonio. Services will be held on Sunday, April 7, 2019, at 2 p.m. at St. Philip’s Episcopal Church in Uvalde. She was born Sept. 10, 1928, at their home in Beaumont to Victor Guidry and Ruby (Holder) Guidry. The family later moved to Corpus Christi. She was of the generation which witnessed the Great Depression, the attack on Pearl Harbor and World War II. She graduated from Corpus Christi High School, later renamed Miller High School. Carolyn attended Texas A&I College in Kingsville and obtained an art degree. She eloped with fellow student Carl Hilderbran and they married on Jan. 29, 1949. The couple graduated in 1950. After living in numerous Texas towns they moved to Uvalde in 1958, where Carolyn assumed the roles of housewife, substitute teacher, Cub Scout Den Mother, and Sunday school teacher. When possible, she also set aside time to paint. In 1964, she began helping her husband as clerical staff, receptionist and bookkeeper in the new family business, CH Machinery. In 1971 she began her career in education as the art teacher at Uvalde High School. She was a dedicated teacher who was so passionate about her craft, and her students, that she personally purchased a kiln for her pottery students. After receiving her master's degree in counseling from Sul Ross University, in 1980 she took the position of counselor at Uvalde High School. “Miss Hilda” encouraged many students to remain in school and graduate. She worked diligently to obtain numerous grants and scholarships for high school graduates. She was instrumental in compiling and distributing the Course Description Handbook, a list of class descriptions made available for high school students and parents to assist in course selection. During her tenure as counselor many students earned recognition as National Merit Finalists and National Merit Scholars; graduates were accepted into prestigious universities throughout the nation, as well as to military academies. In her last year as counselor three UHS graduates were accepted to military academies. In recognition of her efforts she was formally invited by the U.S. Air Force Academy to attend a graduation ceremony. She retired from her position of head counselor in 1999. She was an original board member of the Uvalde Cares For Children organization formed to assist local youth in need, and remained on the board until its dissolution. Carolyn became an avid genealogist, traveling to small town libraries and courthouses searching through records from Texas to North Carolina – and then into Canada – researching her Acadian roots. She and several family members went to a family reunion in Lunenburg, Nova Scotia, Canada, and attended a 250th anniversary celebration honoring founders of the historic town, one of whom was her ancestor. She leaves behind a wealth of documents and history. Carolyn is survived by four sons, Victor and wife, Betty, of Uvalde, Joseph “Jody” and wife, Carol, of San Antonio, C.B. and wife, Tammy, of Uvalde, and Harvey and wife, Tracy, of Kerrville; six grandchildren, Sarah and husband, Sam Price, Roy, Byron, Cecile, Haley and Callie; and great-grandchild Katherine Price. She was preceded in death by her husband of 65 years, Carl; her parents; brother, Russell Guidry; and sister, Barbara Blanton. In lieu of flowers, donations may be made to El Progreso Memorial Library, 301 W Main St., Uvalde, TX 78801; St. Philip's Episcopal Day School, 343 N. Getty St., Uvalde, TX 78801; or a charity of your choice.